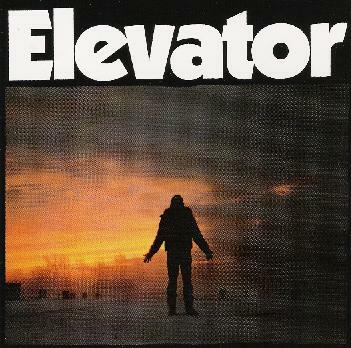 Elevator is a very cool three piece psychedelic rock band from Canada. I have never heard them before but they just celebrated their 10th year in 2004. The music is a sort of garage rockin' 60's psychedelic spaced out strange rock. Ok... that was a mouthful. Anyway, the music is pretty raw and spaced out with a cool psychedelic mix. The opening track (ThickWall) is quite repetitive but develops and has some strange dreamy male-female vocals. "Memories Of You" is a simple song but they layer in strange stuff with the funny lyrics. "The Invitation" is next and I love the way the guitar is mixed with the vocals on this track. It gives a very psychedelic effect. "I Wonder What Is Sane" is a very noisy psych rock piece with a very intense bottom end in the mix. "To Cry A River" is a dark psych track that just takes you floating away with the band. "The Change" is a much happier 60's inspired track. Fun. "Night" is only 1½ minutes and is sung by Tara (bass player). It's a mellow acoustic track. "Caterpillar" is built on a loud boisterous bass line and strumming guitar. Funny lyrics. "There Is The End" is a 7½ minute long psyched out track that just builds and builds up until you think the car is going to wreck! Blow your mind and check out this band! For more information you can visit the Elevator web site at: http://www.elevator.ca.